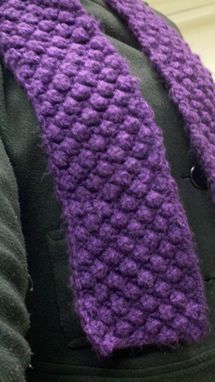 This "Raspberry Scarf" reminds me several little raspberries that encompass the scarf. 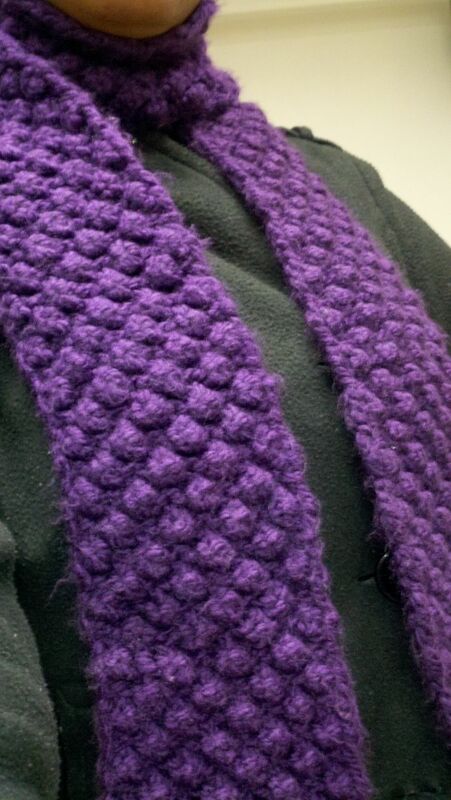 It's a really fun, warm scarf that is sure to keep you warm. It's close knitting will keep the neck warm during very cold weather.